The 35th edition of Dynamics Days US, a major long-standing international conference in nonlinear dynamics, kicks off today in Durham, co-hosted by Duke, Carolina, and NC State University. On the organizing committee representing are our own Professors Chris Jones and Peter Mucha. 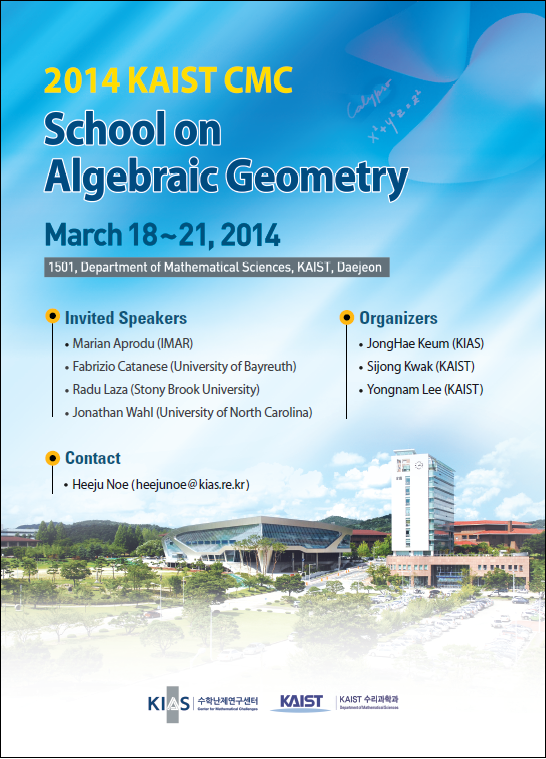 Meanwhile, the program includes a number of Carolina Mathematics participants, including an invited presentations from Professor Katie Newhall, former UNC postdoc Professor Rudy Horne of Morehouse University, and our new colleague in Applied Physical Sciences, Professor Daphne Klotsa. A competitively-selected contributed presentation by current UNC postdoc Dr. Dane Taylor (pictured here), and many other Carolina connections throughout the conference. For many of our faculty, summer is a time of international travel to attend workshops and conduct research in other locations. As just a couple examples., we check in on the travels of our department chair, Rich McLaughlin. 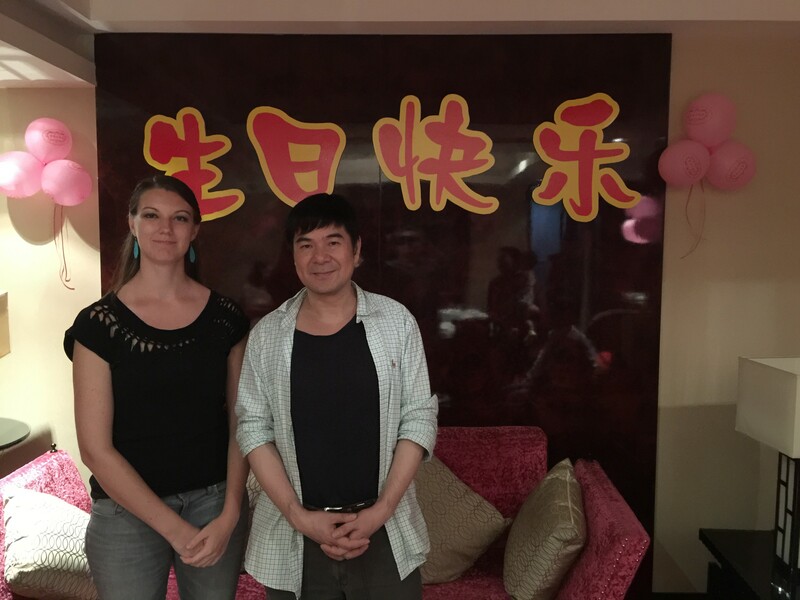 In June, Rich traveled to Shanghai Jiao-Tong University as an organizer and invited lecturer at NYU Shanghai’s International Conference on Mathematics of Nonlinearity in Neural and Physical Science. Other invited speakers from Carolina included Roberto Camassa and co-organizer Greg Forest. Also attending the conference from Carolina, Katie Newhall is pictured here with our former Carolina colleague David Cai. Later, Roberto and Rich traveled together to Tibet, where they met with four math professors from Tibet University, including one who works on understanding the geophysical processes associated with Nantso Lake, situated at over 15,000 feet above sea level. As a large, stratified, salt water lake, this site is of particular interest to Rich and Roberto’s research. These two trips of course represent only a sample of the many far-ranging research travels of our faculty this summer. Congratulations to Professor Chris Jones for presenting at last week’s UNC Climate Change Symposium. The symposium “aims to highlight the latest research on climate change from across the University.” Among Jones’ many notable activities, he is the Director of the National Science Foundation funded Mathematics and Climate Research Network (MCRN). Recent research highlighted in his talk including work on the dynamics of El Nino, based on the thesis work of graduate student Andrew Roberts, and MCRN member KK Tung’s recent explanation of the global warming hiatus due to heat uptake in the deep Atlantic Ocean. In giving a talk at the Symposium, Jones joined three other faculty from Environmental Law, Public Policy, and the Geological Sciences. Researchers from the Joint Fluids Lab between Mathematics and Marine Sciences are in England this week to present at the SIAM Conference on Nonlinear Waves and Coherent Structures, held at Churchill College, University of Cambridge. Organizing and speaking in a minisymposium on ”Stratified Fluids, Coherent Structures, and Their Interactions“ are Professors Roberto Camassa and Rich McLaughlin, along with postdoctoral associate Dr. Shilpa Khatri. The minisymposium also includes a presentation from Carolina graduate alumnus Dr. Claudio Viotti, currently a postdoctoral associate at University College Dublin. Even though they do not appear to be talking about this particular breaking waves experiment below at this week’s conference, noting their efforts at a nonlinear waves conference is as good as a time as any to show off the latest videos from the Joint Fluids Lab. These videos (at 500 and 1000 frames per second) of a curling wave in the UNC Joint Fluids Lab NSF MRI wave tank were shot by Roberto Camassa, Rich McLaughlin, MASC Ph.D. student Elaine Monbureau and Mathematics Ph.D. student Chung-Nan Tzou using the high speed camera funded in the lab by (and with thanks to) the UNC Summer School. While the Department remains very busy with summer classes, summer is also a time for many faculty and students to focus on research and to travel to collaborate and present their work in nationally and internationally recognized venues. Idris Assani co-directed a summer school on Ergodic Theory and Dynamical Systems in M’bour, Senegal, June 4-14. Joe Cima gave an invited talk at the Seventh Conference on Function Spaces at Southern Illinois University Edwardsville, May 20-24. Ellen Eischen gave invited talks in the conference p-adic Variation in Number Theory at Boston University, June 2-6, and in the Caltech Number Theory Seminar. She has also been invited to participate in the Algebraische Zahlentheorie workshop at the Mathematisches Forschungsinstitut Oberwolfach, Germany, and the Connections for Women: New Geometric Methods in Number Theory and Automorphic Forms workshop at MSRI. Jingfang Huang co-organized the workshop Mathematics in Action: Modeling and analysis in molecular biology and electrophysiology in Suzhou, China, June 2-5. Huang will also give an invited talk at the Beijing Computational Science Research Center (CSRC). Shrawan Kumar is giving a invited series of four lectures at the University of Pisa, Italy on “The saturated tensor product problem,” June 24-27. Jeremy Marzuola co-organized a week-long workshop in May on Dynamics in Geometric Dispersive Equations and the Effects of Trapping, Scattering and Weak Turbulence at the Banff International Research Station for Mathematical Innovation and Discovery. Marzuola was also an invited speaker at the Stability of Solitary Waves Workshop at the Centro di Ricerca Matematica Ennio De Giorgi in Pisa, Italy. He then visited the Hausdorff Research Institute for Mathematics in Bonn, Germany to speak in a workshop and participate in their trimester on harmonic analysis and PDEs. 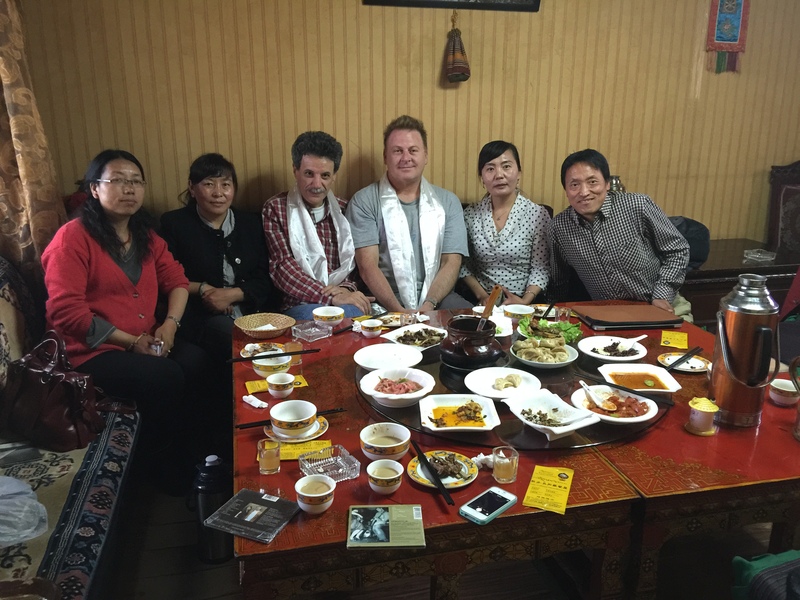 Jason Metcalfe spoke at the same Banff workshop in May on Dynamics in Geometric Dispersive Equations and the Effects of Trapping, Scattering and Weak Turbulence and gave a pair of invited seminar talks at Zhejiang University in Hangzhou, China. Laura Miller and a number of her group members are off to Osaka, Japan for the Joint Annual Meeting of the Japanese Society for Mathematical Biology and the Society for Mathematical Biology, July 28 to August 1, where Miller will give one of the invited plenary talks. Karl Petersen’s passport has been busy, between a conference on Ergodic Theory and Dynamical Systems in Torun, Poland, and talks that he gave in Tartu, Estonia and Rouen, France. 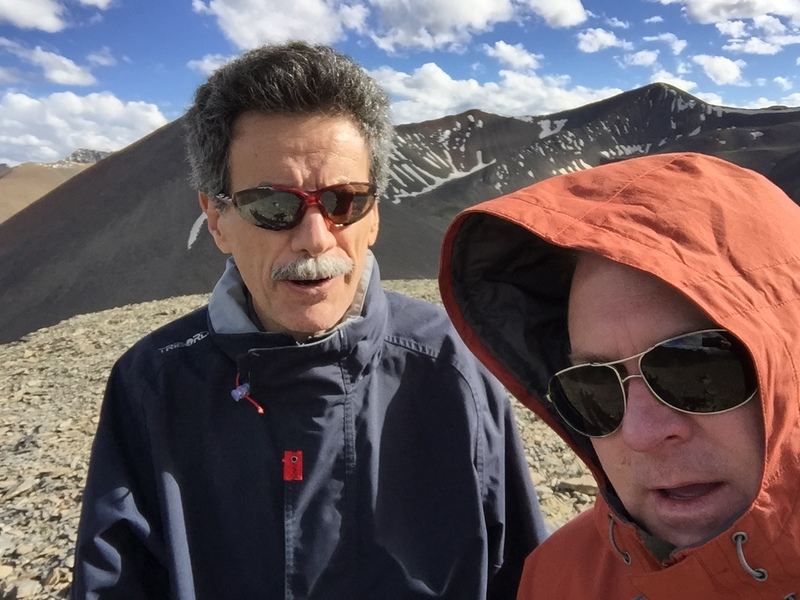 Petersen will also give a mini-courses lecture series at the 4th Pingree Park Dynamics Workshop: Foundations and Frontiers in Symbolic Dynamics, July 14-17 in Colorado. In similarly country-hopping travel style, Justin Sawon has given talks at the Lorentz Center in Leiden, Netherlands, and at the University of Utrecht, Netherlands, and has others scheduled at the University of Waterloo, Canada, and as an invited speaker at the 9th Pacific Rim Conference on Complex Geometry, July 27 to August 1, in Gunsan, South Korea. Sasha Varchenko will be one of the invited speakers at New Trends in Quantum Integrability, an International Conference on New Trends in Quantum Groups and Integrable Systems, August 18-22, at University of Surrey, UK. 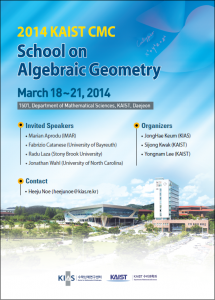 Carolina Mathematics will also be well represented at the the 2014 SIAM Annual Meeting, held this year in Chicago. Greg Forest will speak in a session on Nonlinear Fluids. Jeremy Marzuola and Laura Miller are both speaking in a session organized by Miller on Plant and Protist Biomechanics. 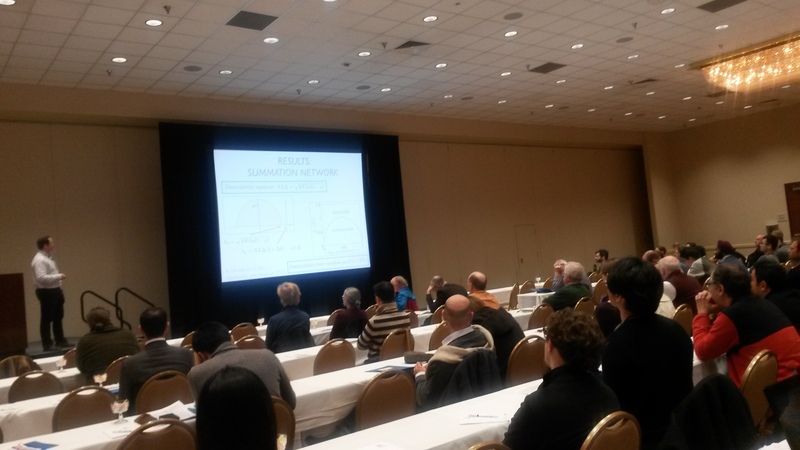 Sorin Mitran is presenting in a session on Mesoscale and Nonlocal Models of Materials with Microstructure. And new faculty arrival Katie Newhall is speaking on “Dynamics of Ferromagnets” in a session on Applications in Nonlinear Dynamics with Chaos, Stochasticity, and Multiple Scales. Congratulations to Jon for this honor, and wishing him an enjoyable trip. Once again, the Department of Mathematics was well represented at the Division of Fluid Dynamics (DFD) meeting, held annually at the front of Thanksgiving week. Held this year in Pittsburgh, speakers from Carolina Mathematics (links click through to the abstracts of their talks) included faculty Roberto Camassa, Rich McLaughlin and Laura Miller; postdoctoral associate Shilpa Khatri; and graduate students Austin Baird, Nick Battistia, Alex Hoover, Shannon Jones, Jeff Olander and Chung-Nan Tzou. An assortment of Department alumni also presented, including Shengqian Chen, Nick Moore, Reed Ogrosky, Arvind Santhanakrishnan, Ashwin Vaidya and Longhua Zhao. One of the long-running traditions of the DFD meeting is the Gallery of Fluid Motion. This year’s entries in the Gallery included “Broad leaves in strong flow”, from Laura Miller and Arvind Santhanakrishnan (http://www.youtube.com/watch?v=myIiQvUvx18). Congratulations to all involved in this year’s meeting.